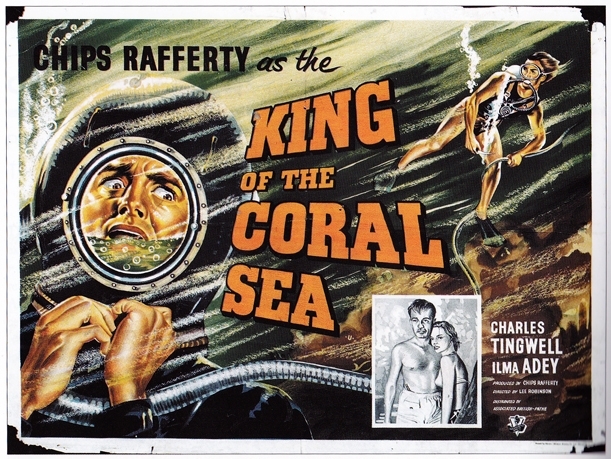 # 1, King Of The Coral Sea ( 1954 ) U.K. quad. 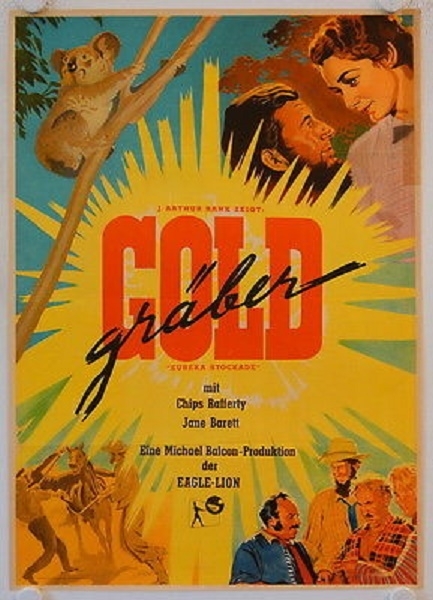 First in a series of Australian films showing rare overseas poster material. I like this one. I already don't like this thread! # 3. 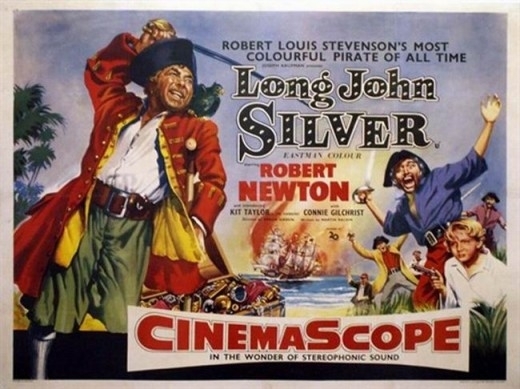 Long John Silver ( 1954 ) U.K. quad. In my opinion, for this title, this is the best non country of origin poster that I have seen. Great Robbery Under Arms John. We'll title that image # 2. 2b. 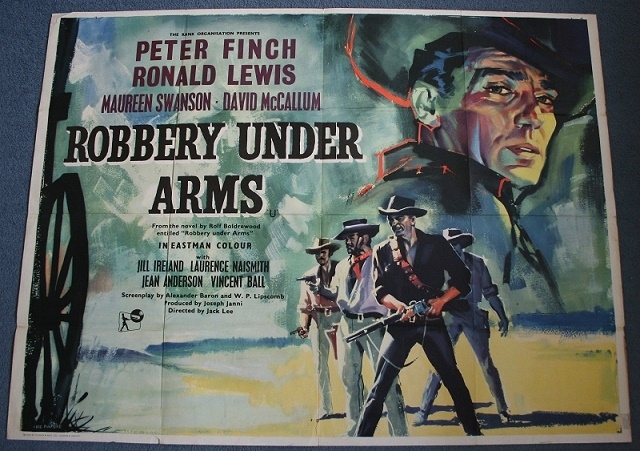 Robbery Under Arms ( 1957 ). A different designed U. K. quad to the one John posted earlier. Both are rare and desirable. Oh that's nice. I want one! Eureka Stockade is a good one too but we should post some posters from other countries as well. I'm sure Lawrence has some more for us to see. # 4. Age Of Consent ( 1969 ). U.K.quad. 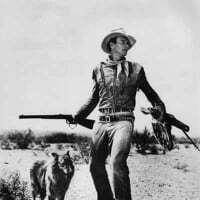 Just to clarify that you are asking to view film posters of Australian films, but paper other than U. K. quads ? # 5. 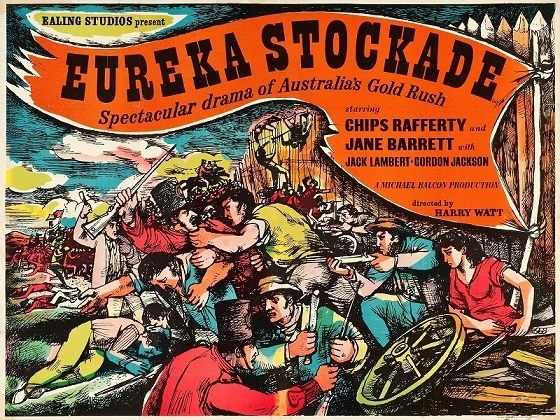 Eureka Stockade ( 1949 ). U. K. quad. Seeing John earlier mentioned it and it isn't seen too often and is drawn in the particular 1940's style that the quads were around that period it deserves to be here as well. 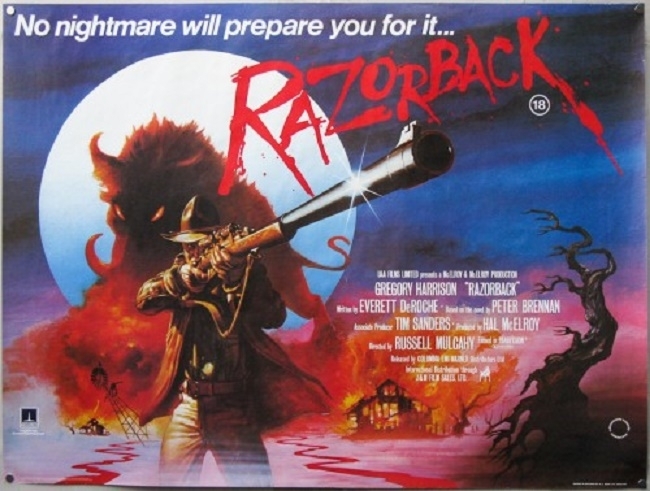 # 6 Razorback ( 1984 ). Yes it is excellent. Although 1984 it is hard to find. ... No. 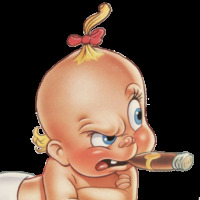 I'm suggesting that other international posters also be shown in addition to quads. Well, that's what I thought the thread was about. The quads are great but there are also some fantastic international posters for Australian films as well. Sorry I needed to clarify that you were talking about international posters for Australian films that you have just mentioned. Prior to this you were only saying international films and although the thread is about Australian films I just wanted to confirm this is what you were saying and not saying non Australian international films be included as well. Now that I am in sync with you a German poster of an Australian film will be on the way shortly. # 7. German poster of Eureka Stockade ( 1949 ). That's one I haven't seen! Love the token Koala. # 8. 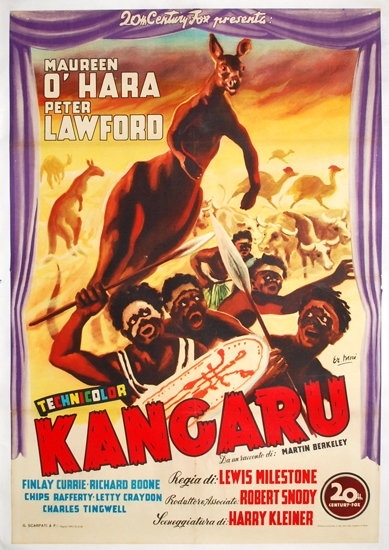 Italian poster of Kangaroo ( 1952 ). # 9. 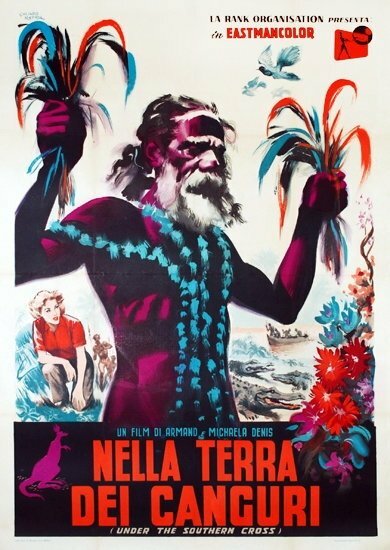 Italian poster of Under The Southern Cross ( 1954 ). # 10. 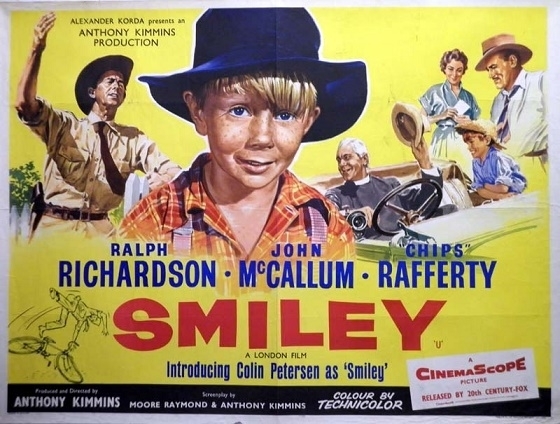 Smiley ( 1956 ) U. K. quad. Possibly the nicest poster of this film I have seen. # 11. 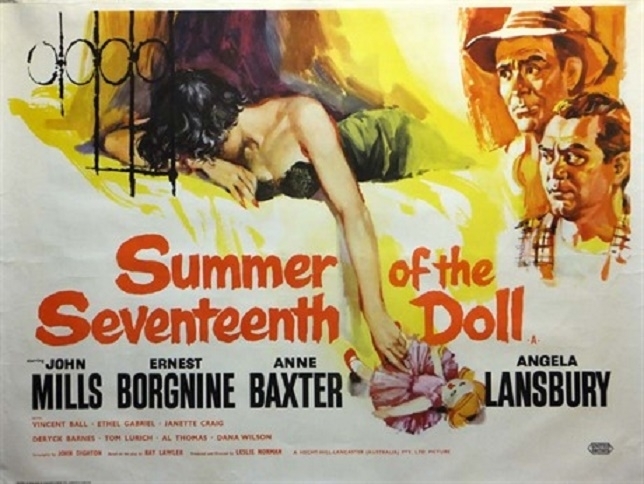 Summer Of The Seventeenth Doll ( 1959 ) U. K. quad. Again a quad and seems superior to all other countries posters of this title, including those released under the title of Season Of Passion. Oh different to the one I have. Nice! #11b. 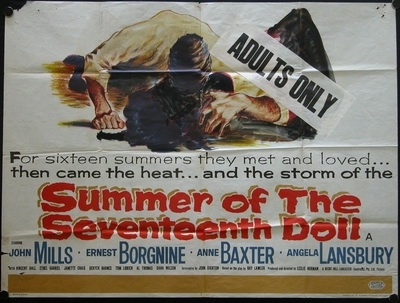 A borrowed image from Ves of Summer Of The Seventeenth Doll. I believe it is the first time I have seen a snipe added for censorship that appears on a U. K. quad. Any ideas how it got there Ves or Paul ? Oh I should add, it is heavily censored with black texta. I will post a nice big picture when I am on my pic later today.